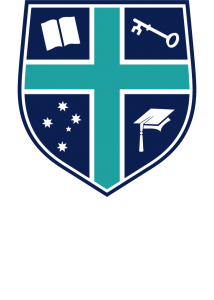 Hope Christian College Out of School Hours Care service is committed to providing a quality service, based upon the biblical values which are a part of the College ethos. We are committed to providing your child with an environment where they are able to feel and play safely in supportive and interactive surroundings where staff are positive role models to children. The service structure allows staff to have an increased amount of time for more individual care of children. Accreditation Overall Rating: Meeting National Quality Standards in the areas of Educational Program and Practice, and Relationships with Children we rated Exceeding National Quality Standards. We provide a program developmentally appropriate to the needs of the children attending the service. There is a range of indoor/outdoor experiences, quiet/active times and settings, and structured/unstructured activities for children to choose from. The Before School Care program allows parents the reassurance that their child is in a safe environment before the school day starts. During this time staff provide children with activities until they are taken to school. The Reception and Year 1 children are escorted to class. Breakfast is also provided to children. Our After School Care program provides a range of activities for children both programmed and free choice. This time allows children to develop social relationships with other school aged children in a safe environment. Reception and Year 1 children are collected from class. Children are also provided a healthy afternoon snack. Click here to view the OSHC Enrolment Form. As with our Before and After School Care programs, Vacation Care provides a safe and varied range of activities including well-supervised excursions. Breakfast and Afternoon Tea is provided. Click here to view the Vacation Care information sheet. Click here to view the April Vacation Care school holiday program information sheet. Click here to view the April Vacation Care school holiday program booking sheet.